Everyone considering IVF should be aware of PGS, and those in the following circumstances should be particularly aware: women who have attempted IVF without becoming pregnant more than once, women who have experienced recurrent miscarriages or have had a pregnancy involving a chromosomal abnormality, and women with diminished ovarian reserve (since a high proportion of their eggs are often chromosomally abnormal). All embryos do not develop to the blastocyst stage, and generally only some of those that do will be identied as chromosomally normal. Regardless of the number of blastocyst stage embryos produced, there is always a risk that none will be identied as chromosomally normal once subjected to PGS. Should this occur, a transfer will not take place. 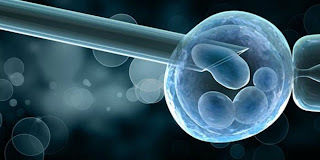 Women who produce few eggs in a single IVF cycle may engage in a process referred to as “embryo banking”. In an effort to accumulate a more plentiful number of embryos for PGS analysis, their doctors stimulate their ovaries and retrieve their eggs over more than one menstrual cycle. Most clinics freeze the embryos with a method called vitriﬁcation while PGS analysis is being performed. If a normal embryo is identiﬁed it is then thawed and transferred on a subsequent cycle. Some now believe that embryos are more likely to implant when the woman’s uterus has recovered from the effects of the drugs used to stimulate her ovaries. In certain circumstances, some clinics conduct the PGS within 24 hours so that if a normal embryo is identied it can be transferred fresh. If chromosomally normal embryos are identiﬁed through PGS, a reputable clinic will transfer no more than two to avoid the complications that often arise in high order multiple pregnancies (triplets, quadruplets, etc.). The remainder will remain vitried for potential transfer at a later date. Even when chromosomally normal embryos are identiﬁed through PGS and transferred into the woman’s uterus, the embryo is not absolutely certain to implant. On occasion, a chromosomally normal embryo will fail to implant or miscarry due to factors unrelated to its genetic make-up. In a high quality laboratory the risks of PGS are low. They include accidental damage to or destruction of the embryo during biopsy, inaccurate test results including the misdiagnosis of a chromosomally normal embryo as chromosomally abnormal and the misdiagnosis of a chromosomally abnormal embryo as normal, as well as the possibility that an embryo may not survive vitriﬁcation. Because of the possibility of an inaccurate test result following PGS, all women undergoing PGS who become pregnant should speak with a genetic counsellor about whether to have prenatal testing, and the different types of prenatal tests that are available. PGS is not offered at every fertility clinic and even among those clinics that do offer it, some have vastly more experience with PGS than others. Patients should be careful when choosing a fertility clinic for PGS as they will be better served by those with substantial PGS experience and high success rates in cycles where chromosomally normal embryos have been identiﬁed and transferred following PGS analysis.